It seems like today’s world of working from home is all about freelancing. We’ve talked about many freelancing websites here in the past, but there is a new site out there that I recently discovered and I think it deserves a little bit of our attention. Thumbtack is the latest craze when you need to power up your freelance workload. If you have heard about Angie’s list or Odesk then you are familiar with the way Thumbtack basically works, with a few unique aspects great for freelancers. In Angie’s List and Odesk, Freelance writers, web designers, virtual assistants and even photographers have the opportunity to place bids on available contracts and jobs as they are listed. Thumbtack has approved or “verified” clients/leads to various professions within categories such as Business and Legal, Family, Events, Health and Beauty, Home, Lessons, Technical and Web, Cars and Trucks, and Writing and Translation. Thumbtack takes clients who are searching for work and pairs them up with potential professionals for the job. One thing you need to know up front with Thumbtack is that you will need to have a website or blog that advertises your freelance service. You have to have a website to link to in order for Thumbtack to verify your account. Yes, Upwork and Freelancer.com do not require a website or blog, but Thumbtack does. This gives you more credibility to potential clients; so basically, clients have a sound piece of mind hiring you over an anonymous freelancer on a job board. Though it takes a little getting used to, it’s all for your benefit. If you don’t already have a blog or website and you’re a freelancer then you should really look into it. You can set up a free blog at blogger.com! You will need to click “Join Thumbtack Now” and you will be taken to a page where you will fill out basic information: business name, phone number, website, service, a listing heading, address and travel information, lastly your name and email. After completing the form and clicking “list my services” you will then wait to see if you receive an approval email. Once approved then you are on your way to setting up your Thumbtack profile. Your profile is another unique aspect to Thumbtack. Unlike other bidding sites where you have to take a test or submit samples of your work, Thumbtack has a much more professional setup. To begin you will be adding your photo or a logo along with an online interview. This interview is a written list of specific questions and you will fill in your answers. On other freelance websites you will want to increase your rating and according to your rating you will be given a ranked membership. Your rank could be bronze, silver or gold. To improve your rating you want to gather feedback. You also can increase your rating by earning points. You can start your move up in rating by linking to Twitter, referring your friends, taking surveys, and adding a Thumbtack button to your website. This is different than other sites like Odesk where the only way to increase your rating is by client feedback. Another way to improve your rating is to have colleagues and clients to write simple reviews about you and their experience with your work, of course, they would need to have a Thumbtack account to do this for you. To bid for jobs with Thumbtack you have to wait for jobs to be emailed to you. Based on your location and services, Thumbtack pairs you up with the best potential clients/leads and sends that information directly to the email address you provided. For a freelancer, location isn’t as much of a concern so there may be some flexibility there. Remember that all potential clients are verified through Thumbtack before forwarding any information to you. This gives you a nice layer of protection against scams! When you are notified of a potential job, you will also be provided with a brief description of the client’s needs and expectations. If you decide that you want to bid on the job, you can proceed to make a proposal. 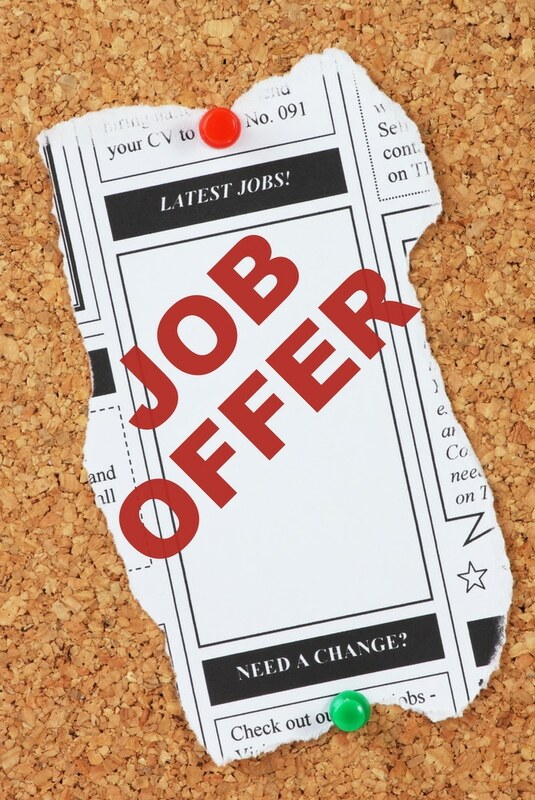 Thumbtack gives you several options to pay for the job referrals. You can select a monthly membership or pay per job. Depending on the size of the job the fees can range from $3 up to $20. The good news is that you won’t have to pay if you don’t land the job. If you submit a proposal and don’t get the job, just send an email to support@thumbtack.com and request a refund for the unsuccessful bid fee. If you are going to bid on a lot of projects, it’s better to choose a monthly membership plan so you can submit unlimited proposals for one flat fee. When you receive leads you can review the information given and submit a bid or decline the job. Thumbtack might match multiple freelancers with the job opening so make yoru bid appealing. There is no way to see who you bidding against and what they are charging. Only the first ten freelancers who respond can place a bid. You have to be very quick to bid; ten bidders are in and over fast. If you are one of the first ten to bid, then you will be asked to select a rate, fixed, hourly or incremental for the job. Then you will need to respond with a small proposal in the field telling the client why you are the one for the job. When a client accepts your proposal, you proceed to finish the job. Within a week of the project’s completion, you receive payment via PayPal. So is Thumbtack a scam? No. Some people have a problem with the fact that you have to pay for referrals, but I feel that paying a fee is nominal when given the fact that I will receive verified quality leads. Thumbtack has great customer service and is pretty easy to navigate. If you still have questions, do a quick Google search and you will see Thumbtack featured in some major publications like The New York Times, Washington Post, and Wall Street Journal. With that kind of print credibility, I think Thumbtack is definitely worth a try! I’m just starting back with eLance – I hadn’t done much there in awhile because I’ve been so busy writing for myself — but I want to get back into it because it’s something I enjoy and really making money writing is a pretty nice way to go for me because it’s so flexible. I wish you luck Andy :-) I will check out 99hours! Thanks for this nice article. I have just created an account on 99hours.com and waiting for my first job there. I am already an active user of good freelancing sites like oDesk, Elance and Guru.